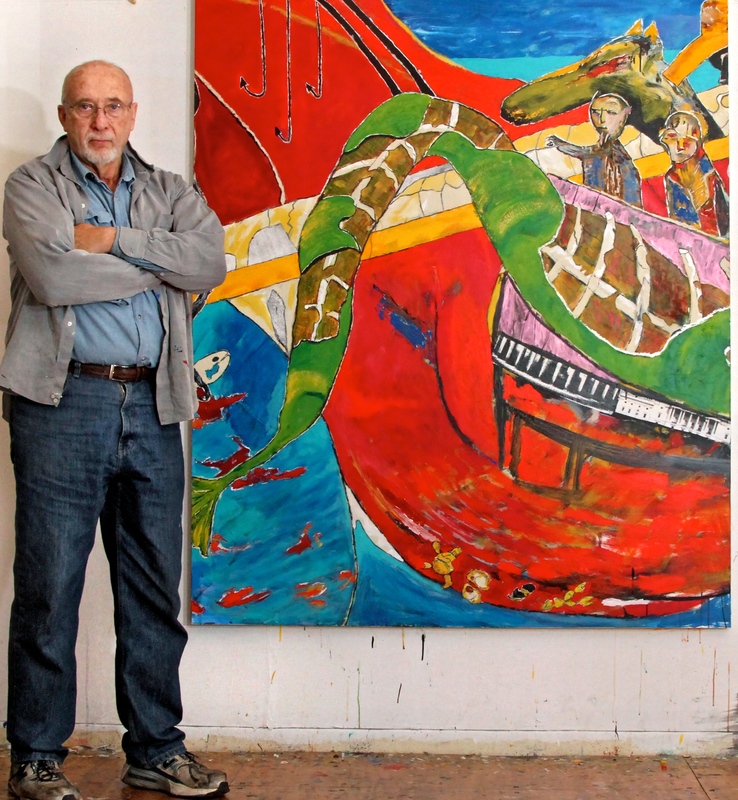 Artist and Filmmaker who made the painting ‘Don Quixote Meets Ocean Change & Fights Carbon Emissions” 15×6 ft. says, “I made the painting to raise the level of discussion and visibility of the threat of CO2 to the oceans. Those who want to stop the spread of ocean acidification should consider using the term ‘Ocean Change.’ Congress needs to hear the climate change narrative and it needs to hear the ocean change narrative. Michael Killen in front Panel 2 of the three-panel painting. He plans to release the entire painting shortly. Part of the U.S Government will be first to present painting to the public in December 2014.